Whatever your plans, hopes, or dreams are for the future, there’s a good chance they involve saving. 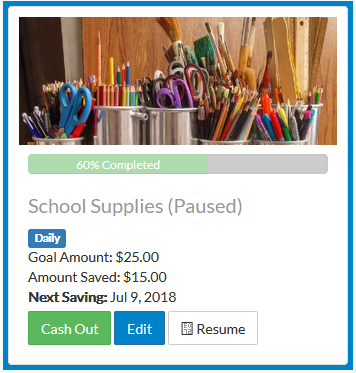 MyGoalSavings is a fun new tool to help you save easier and achieve your goal faster. Only you know how much and how often you can save. Personalize your savings plan by adding a name, your goal amount, how much to put aside, and how often. You can even add a picture of your choice as a great visual reminder. Unlike the traditional savings method of transferring money between accounts, MyGoalSavings works automatically from within your primary account by earmarking the amount you choose and keeping it separate from your available balance. But don’t worry…if you ever need to access your savings, simply “cash out” your goal to instantly add it back to your available balance. It’s that easy! You can do this on your laptop, desktop, smartphone or in the mobile app. 1. Log-in to your Southern Bancorp account at BankSouthern.com. 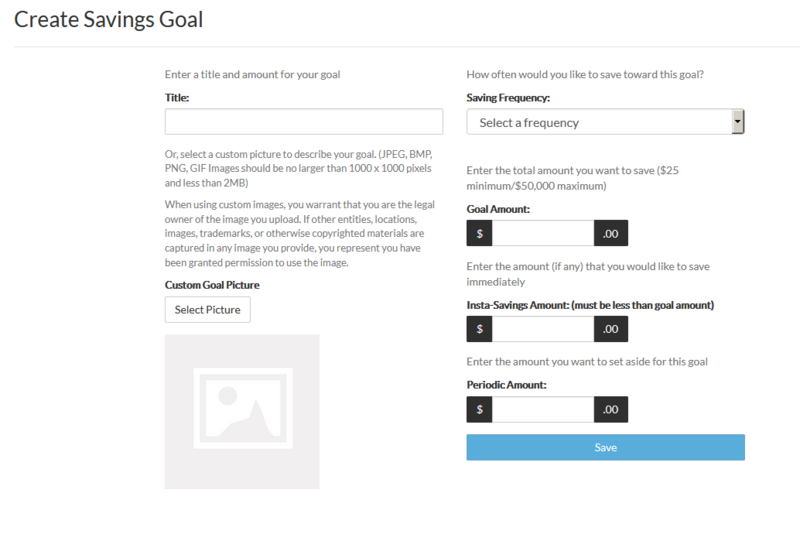 Then select Savings Goals from the main menu. 2. You can add a savings goal to any of your accounts. 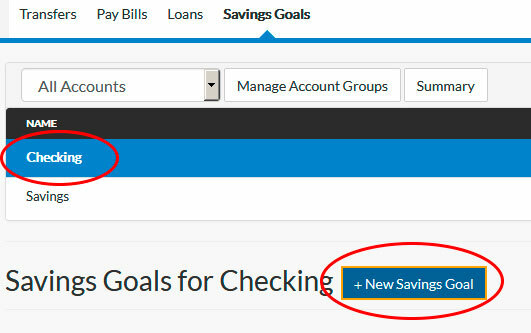 Simply choose the account in which you’d like to create a goal (to get the full power of MyGoalSavings, most will select Checking), then make sure the account is highlighted in blue. Then click + New Savings Goal. Selecting a frequency: daily, a certain day of the week, a certain day of the month, the last day of the month, or every two weeks. Once you’ve entered your information, a timeline will pop-up telling you when you’ll reach your goal given the information you’ve provided. If that timeline is too short or too long, you’ll need to adjust your settings accordingly. 4. Once you are finished personalizing, click Save! 5. You’re done! 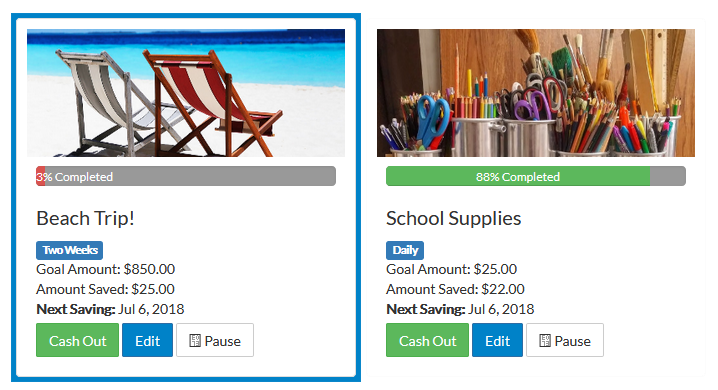 MyGoalSavings will start saving automatically until your goal is either reached or changed. You can also set up multiple goals within multiple accounts! 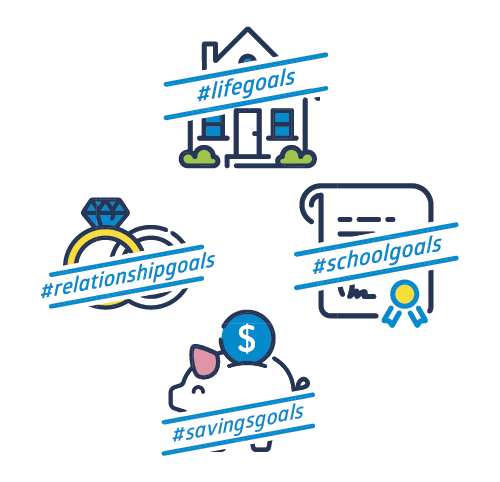 MyGoalSavings earmarks your goal amounts for savings and subtracts it from your available balance, but you’ll always know exactly how much you have on hand. 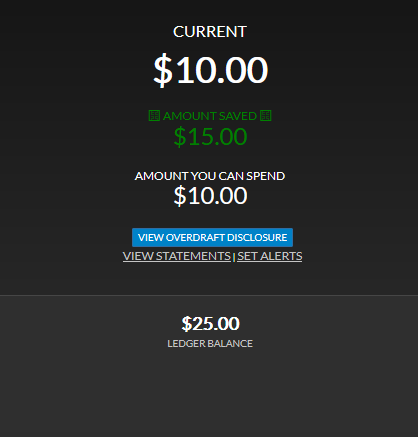 Upon logging-in, you’ll see four amounts: Current, Amount Saved, Amount You Can Spend, and Ledger Balance. But hey, life happens. So if you are running low on funds, don’t worry. 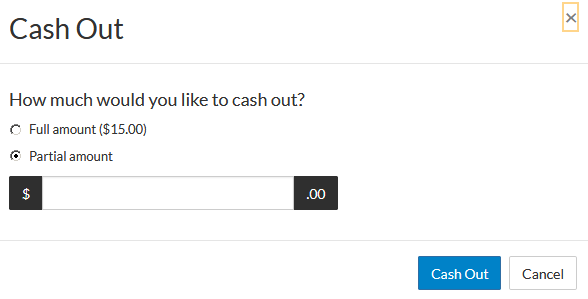 You can Cash Out all or some of the money you have saved. The amount will be released immediately and you can start using it. And if you want get back on track later, you can simply Catch Up to get back on track. MyGoalSavings will take the amount needed for you to catch up and earmark it for that goal. You can Edit your goal at any time, or even delete it from the Edit window. Lastly, if you are coming up on a month with a lot of expenses, you can Pause the goal so that it won’t set aside any amount in the future until you unpause it.